BuildingEye thinks finding info on construction and development plans should be as simple as a web search. In far too many cities, if you want to know about construction plans and other real estate development data, you'll need to prepare for a dusty slog through paper documents or a battle with arcane city-records tech. It would be easier for everyone to remove such boundaries and opt for a streamlined online mapping interface, says Ciaran Gilsenan, a civil engineer and founder of the Dublin-based startup BuildingEye, which provides residents with easy, online access to visualized local government information. Simplicity is the key to BuildingEye, which gathers planning data from various city authorities and visualizes the data on maps, which link directly to the relevant planning information and documents. BuildingEye started in Ireland, using a collection of local authorities as a test bed. The startup now has an office in San Francisco—where it plans to test its programming for the first time in a major U.S. city. The move was partly in response to San Francisco’s entrepreneur-in-residence program, which put a call out to startups that wanted to get involved in government and tackle issues like city planning, transportation, and earthquake safety. About 200 startups worldwide applied for just six open positions. 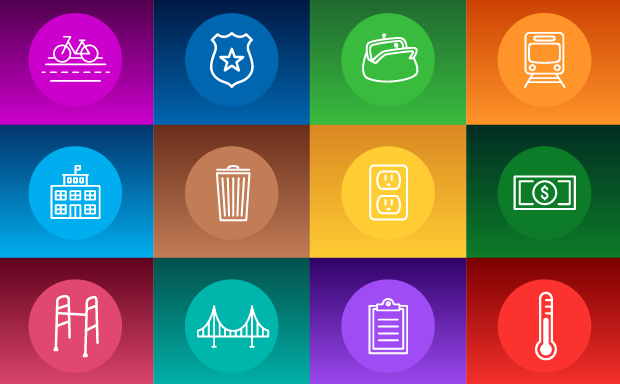 BuildingEye was chosen and paired with the San Francisco Municipal Transportation Agency (SFMTA) to collaborate on $3.1 billion worth of plans by creating a civic engagement platform for capital projects. The SFMTA “pretty much opened their book,” says Gilsenan, giving BuildingEye entry into swaths of planning data on near-future projects that needed to be visualized to show where these projects will be, what stage they’re at, the value of the projects, and who the managers are. Projects ranged from expansive subway work all the way down to parking-meter placement. “[Businesses] can go look at a map and see that this road is going to be dug up in six months, for a year," explains Gilsenan. Business owners can then say, "'Well, there’s no point in opening the business there, I should be on the other side of town because it’s going to affect my footfall, which ultimately affects the bottom line.'" He adds that the same accessibility to such details would allow businesses to find prime locations that have just been completed. Users can also set up email alerts to stay on top of developments in their neighborhoods. Users can also set up email alerts to stay on top of development in their neighborhoods. More U.S. cities are now signing up with BuildingEye—including Palo Alto and Corvallis, Oregon. When meeting with city officials, BuildingEye hashes out the modules—be they planning, building, or transportation—that the city wants to make publicly accessible online via their own mapping interface. But the finished product is branded to the city's website. The company is actively demoing their technology to major U.S. cities—though Gilsenan isn’t revealing any specifics, as no contracts have been signed. And there's thought of expanding into European cities eventually, but right now the U.S. remains BuildingEye’s focus. Jonathan Keane is a freelance technology and business journalist living in Dublin, Ireland.